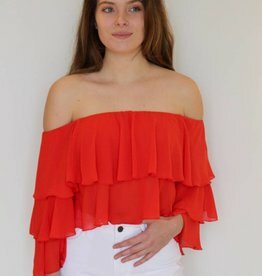 The sweetest top you ever did see! 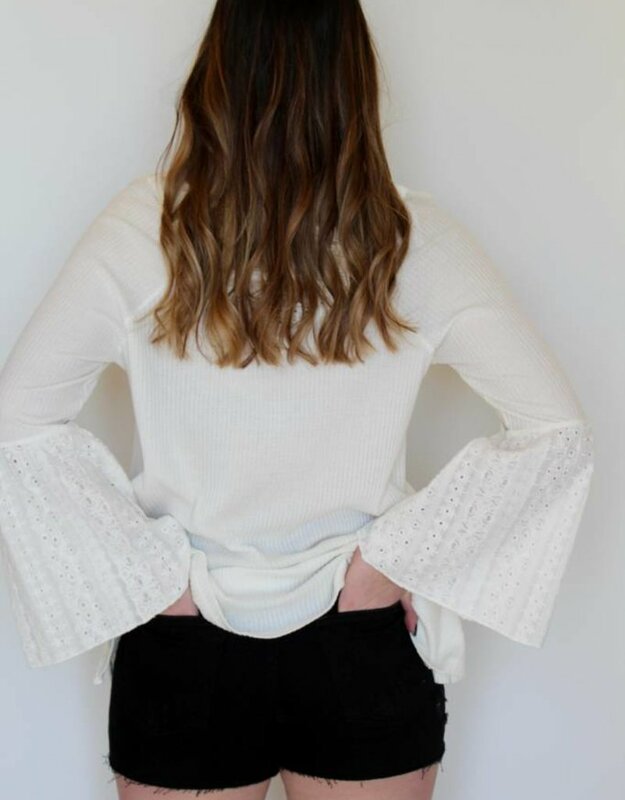 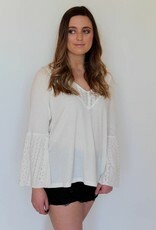 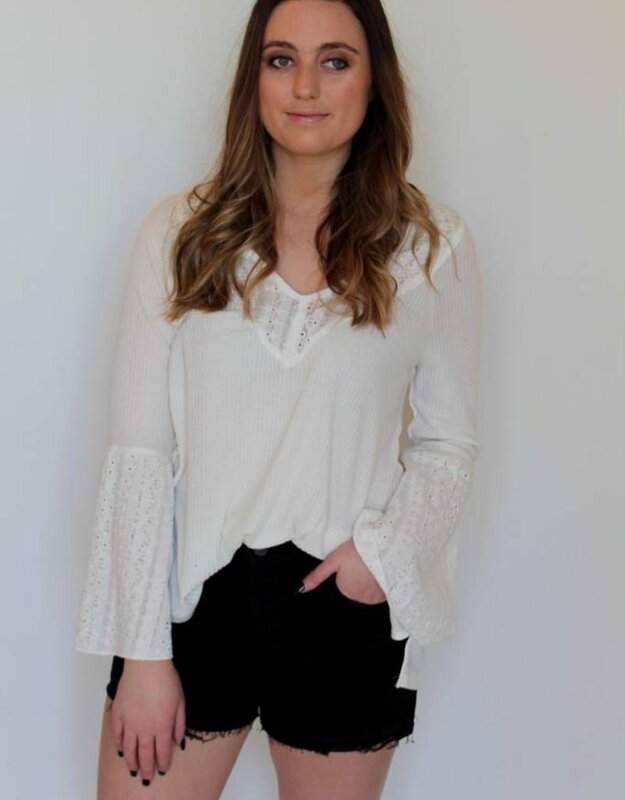 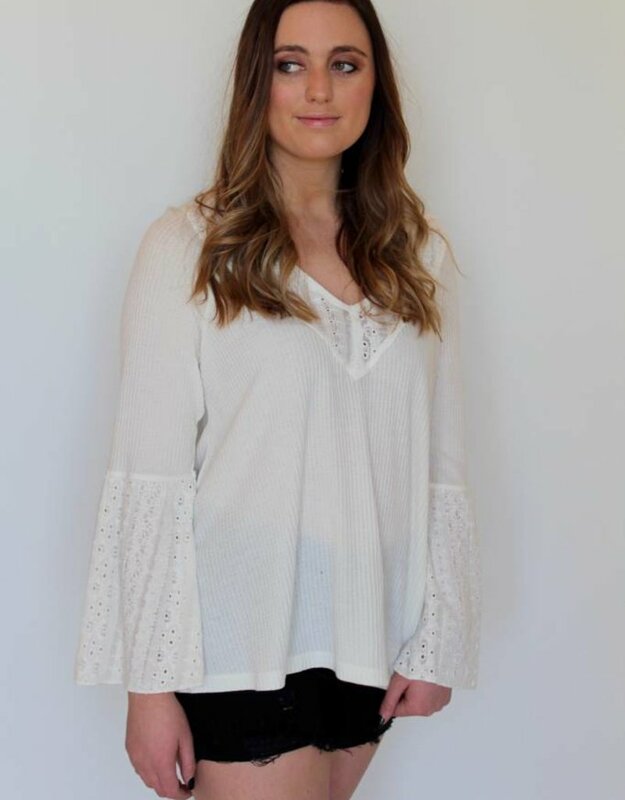 This eyelet top features bell sleeves, ribbed detailing and a flowy silhouette. 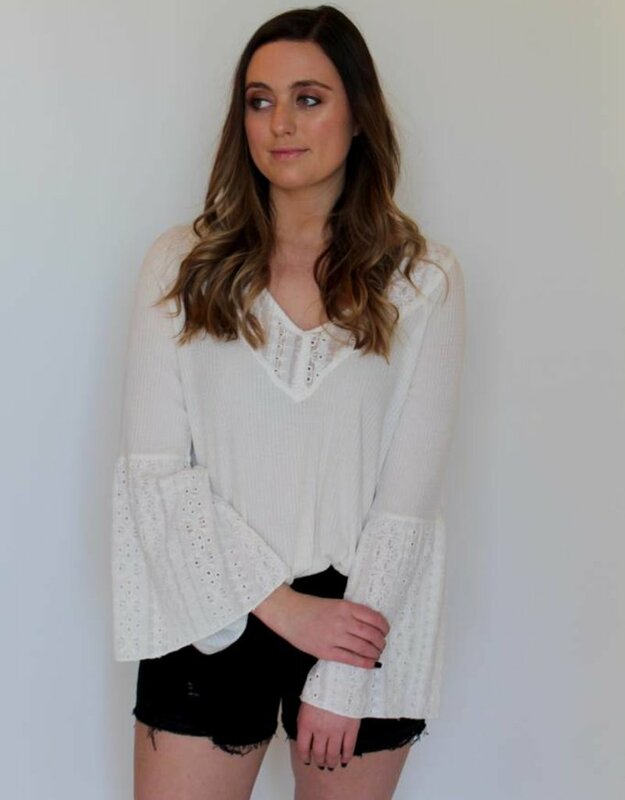 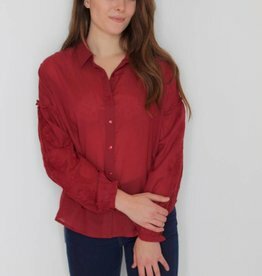 Pair with a pair of denim shorts, skinny jeans or flare jeans with wedges for a day-to-night look!